When General James Oglethorpe was sent by the British Crown to establish the colony of Georgia in 1733, he chose to establish the town of Savannah 17 miles up the Savannah River. Oglethorpe knew the survival of his colony would be dependant upon sea borne commerce. 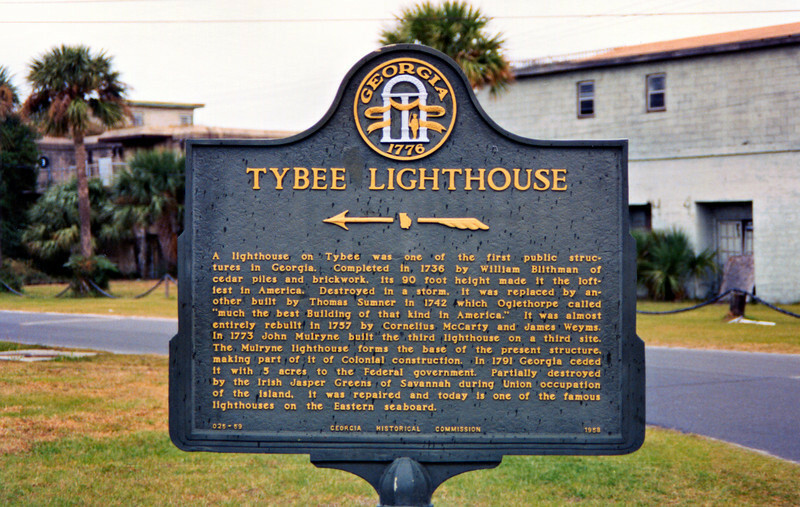 He instructed his men to build a daymark on the largest island at the mouth of the Savannah River, Tybee Island. Ten families settled on Tybee Island to begin construction of the daymark tower. Mosquito infested marshes spread disease among the workers and slowed their progress. In 1736 when Oglethorpe came to inspect the work and saw the lack of progress he threatened to jail the head carpenter. The construction crew was motivated and quickly completed an octagonal 90 foot tower of brick and wood.